After several years in London, I re-located back to the North West and found a job with the Science and Technology Facilities Council (STFC) project managing an e-Science programme that looked at the application of web-based computing technology for solving real-life industrial problems. It was at this point that I decided it would be useful to return to education and studied part-time at Manchester Metropolitan University towards an MBA. It was great to be able to examine problems I encountered at work in an academic context. I focused on methods for lowering the barriers to innovation for industrial engagement which meant that, naturally, my job role changed from project management to industrial liaison where I helped understand the user requirements for a new data catalogue system at the Diamond Light Source. My MBA also helped me to understand the essential technical elements of my role such as licensing and commercial requirements. These skills were utilised heavily during my next position as a Business Development Manager, where I worked to develop strategic industry partnerships for computational modelling research. 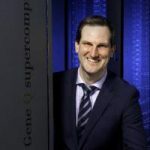 Four years ago, I joined the newly established STFC Hartree Centre as Head of Business Development with responsibility for a team that encouraged collaboration between industrial and research partners to extract value from big data, HPC and cognitive technologies for societal and economic benefits. For me the best thing about the Hartree Centre is working with clients to understand how to integrate technology in to their organisations, ensuring that it works in the best way for them. Clearly they thought I was doing something right because 18 months ago I was promoted to the Hartree Centre’s Deputy Director, which means I am more involved in strategic decision-making, stakeholder and project management and still get to dabble in some of the business development projects and partnerships I cultivated in the early days. 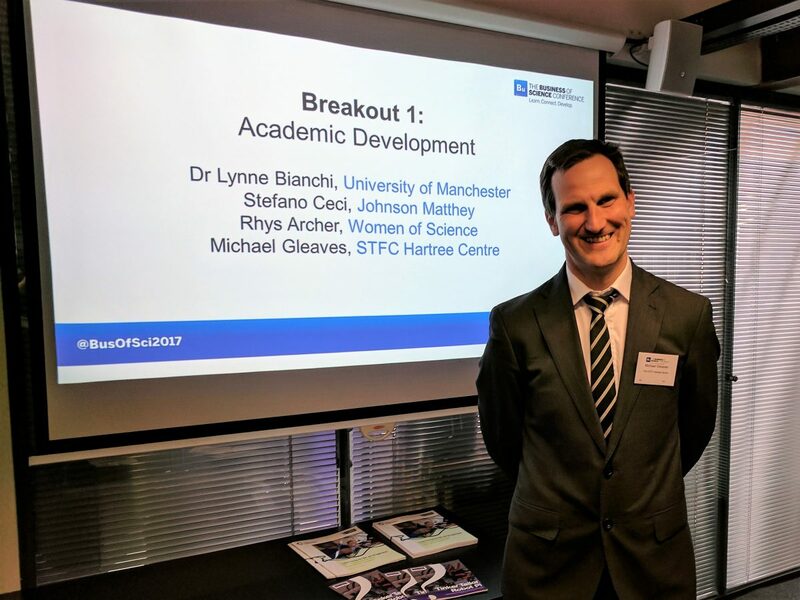 It’s been a real pleasure to watch the centre grow from a small team of people in its infancy to a 50-strong department that has become one of the jewels in both STFC’s crown and a key asset to the Sci-Tech Daresbury campus and the North West. My experience as a deputy director has also provided me with exciting new challenges and opportunities for development in a rewarding position at the very forefront of digital transformation. My advice to anyone would be to make the most of the opportunities available to you, recognise what you enjoy and what you’re good at and never stop learning or challenging yourself throughout your career. Next Next post: Who are the public, what counts as engagement and why should we care?